Researchers believe that visitors began arriving in Spain and the Iberian Peninsula over 35,000 years ago. And they haven't stopped since! Spain has long been a desirable destination for travelers. Spain's national statistics institute, Instituto Nacional de Estadistica (INE) reports that Spain received over 75 million tourists in 2016. About 12 million of those tourists came to enjoy the Costa Del Sol weather and sunny beaches. Are you wondering when the best time of year is to visit Costa Del Sol? Read further to learn more about the Costa Del Sol climate and seasons in this holidaymaker's paradise. Between December and February, Costa Del Sol is mixed with sunny periods as well as periods of wind and rain. Night time temperatures will fall as low as 5 degrees Celsius (41 degrees Fahrenheit), while daytime temperatures can average around 15 degrees Celsius (59 degrees Fahrenheit). It will rarely freeze or snow in Costa De Sol and daytime temperatures will rarely go down to 10 degrees Celsius (50 degrees Fahrenheit). Winters in Costa Del Sol tend to be overcast with a median cloud coverage of 42 percent. Sunshine hours are also at their lowest levels all year as well. During this season, Costa Del Sol will only see about 5-6 hours of sunshine per day. Spring showers in Costa del Sol begin as early as March. Rainfall will average around 59mm over the course of 12 days. Once the rain ends, it's not unusual for temperatures to start to climb as high as 30 degrees Celsius (86 degrees Fahrenheit) before the end of May. These summer months are usually the most popular times to visit the region as more sea breezes tend to blow from the Mediterranean to chill the hotter temperatures. August is the most popular month to swim in the Mediterranean Sea when average sea temperatures are around 23 degrees Celsius (73 degrees Fahrenheit). Autumn in Costa Del Sol will start with warm temperatures and then gradually cool off. 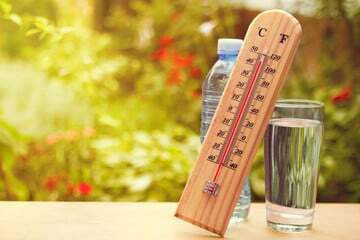 Temperatures will average around 23 degrees Celsius (73 degrees Fahrenheit) in September and but drop to 15 degrees Celsius (59 degrees Fahrenheit) by November. You may also notice that the number of sunshine hours will begin to decrease from eight hours in September to six hours in November. Autumn is also a rainy season for Costa Del Sol. Rainfall begins to increase in October at a level around 50mm over an average of nine days. November will see the highest rainfall level over 110 mm occurring over an 11-day average. You can learn more about Costa Del Sol weather and seasons here. So don't wait another minute to buy that dream home along the Mediterranean Sea that you've always wanted. Here are the professionals that can help you find the right property to make your dream come true.